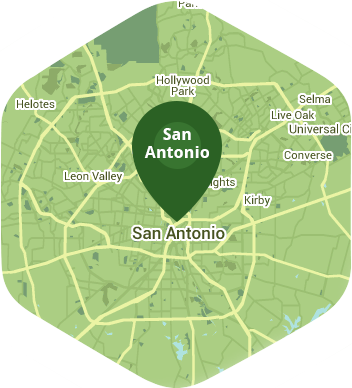 Book a skilled leaf removal expert in San Antonio. Backed by a total satisfaction guarantee and amazing customer support. From the lovely River Walk to the 750-foot tall Tower of the Americas, San Antonio is an amazing place to live and work in. There are so many historical sites and other great places to visit in this city that you'd rather spend your time exploring them all instead of raking leaves from your lawn. Lawn Love can take care of your leaf removal needs while you just relax and enjoy one of the most culturally diverse cities in Texas. The sight of dead leaves scattered all across your garden and walkway might seem lovely to look at, but they can actually pose a significant problem for your garden if they are ignored. The leaves suffocate your lawn by preventing the grass from absorbing the sunlight that it needs for photosynthesis. This can cause your lawn to become susceptible to damage brought about by insects and drought. At Lawn Love we can remove all of the dead leaves and sticks from your yard in no time and for an affordable price. Our services are easy to book and you can even manage them from your smartphone or computer. Get a free online quote or call us at 210-802-4223 to get a price estimate. We look forward to hearing from you.